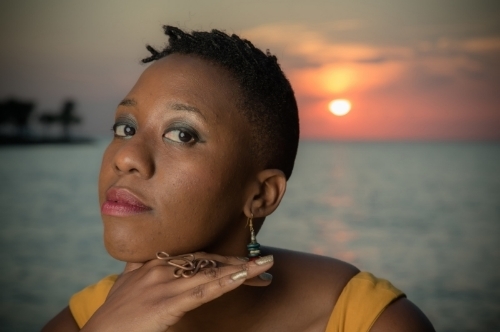 Rebecca Mwase is a Zimbabwean-American theater and performance artist, creative consultant, producer, educator and cultural organizer working at the intersection of art and social justice. She has trained with ArtSpot Productions, Dah Theater, the Highlander Center for Research & Education, Urban Bush Women and Junebug Productions in cultural organizing, devising and storytelling. As an ensemble member of ArtSpot Productions, Rebecca received a 2010 Big Easy Award for Best Original Work for "Go Ye Therefore...", and a 2013 Big Easy for Best Ensemble for "Kiss, Kiss Julie." She also received a Grinnell College Wall Alumni Service Award in 2011 for her work as Program Director with ArtSpot’s educational program Individuals Relating & Overcoming Conflict, a theatre-centered character development and conflict resolution program. Her work has toured nationally and internationally, and her projects have been funded by Alternate ROOTS, the Network of Ensemble Theaters, the National Performance Network, the Rockefeller MAP Fund, Theatre Communications Group, We Shall Overcome Fund, Platforms Fund and the Arts Council of New Orleans. She is a 2016 A Blade of Grass-David Rockefeller Fund Joint Fellow in Criminal Justice. Rebecca's most recent original works are her solo piece Looking at A Broad, Last Call’s Alleged Lesbian Activities, and ArtSpot Productions’ Cry You One. She is a co-director and co-founder of LOUD (New Orleans Queer Youth Theater). Rebecca is a 2007 graduate of Grinnell College with a B.A. in Chinese & Theater. Desired Evolutions is a mantra, an intention and a process. We work with organizations, community groups, students and individuals who want to transform and grow collectively. Desired Evolutions works as a bridge-builder, providing tools, frameworks and and experiences that create meaningful connections and facilitate critical dialogue and exchange. Our process utilizes art; weaving storytelling, songs, movement and dialogue into a tapestry that encourages the manifestation of new skills, tighter communities, inspired thinking and dynamic art.